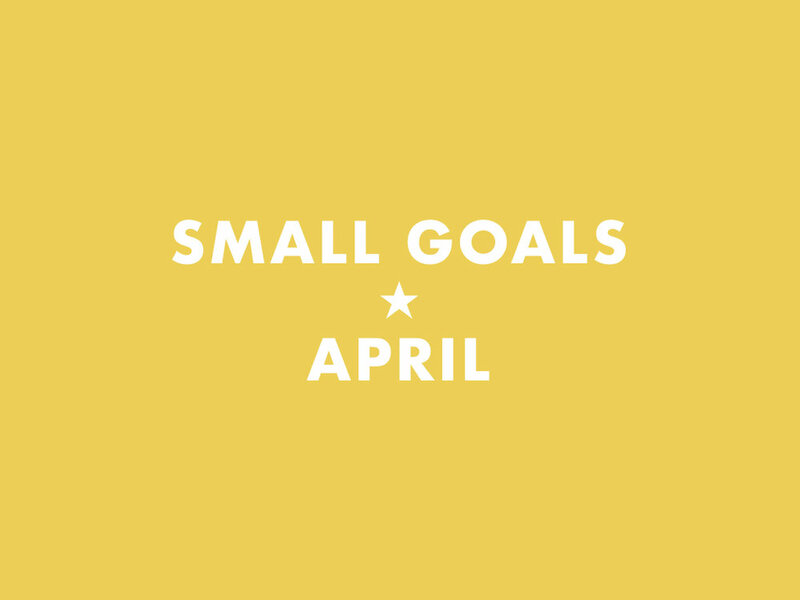 It's time for another small goals round up with Nicole from Feel Good Dress Better! It's my birthday on Thursday and I'm excited but also anxious about what comes next. I'm working on contract job and looking for something more permanent and the job hunt is always nerve-wracking. I'm really hoping to get a new situation figured out soon. Done! I sent like 30 lbs of clothes to ThredUp in one of their Closet Clean Out bags. I got like $40 in credit to spend there and the rest of the clothes were responsibly recycled into things like couch stuffing. Use this link to get $10 off your first purchase. I'm very excited to get this Tory Burch dress with my credit! Not doing great with this. I recently reactivated MyFitnessPal to keep better track of my intake and also my body in general. So far I've used it every day for a week. So, not quite there yet, but on the way! I've thought a lot about this alongside my ongoing existential job-hunt crisis and I've decided to opt for a 30 before 30, which I think is more feasible given that without a permanent job at the moment, it's hard for me to picture the next year. I'll be posting my 30 before 30 by the end of next week. I did a really fun Instagram Story for the show. I haven't gone through my photos and put anything together video-wise but I don't think I have the bandwidth to do much of that now with my job hunt. I do feel great about the Instagram story though and I think microcontent is a really good outlet for me. You can follow me at @harperyi on Instagram and Twitter! Raise $2500 for survivors of domestic violence and human trafficking. Every year for my birthday, I raise money for Sanctuary for Families, a New York based organization that provides comprehensive services for victims of domestic violence and human trafficking. They work to make sure their services are inclusive and accessible for the most vulnerable populations. 94% of their clients report a household income of under $30k (and remember, we are talking NYC cost of living) and of their adult clients, 77% are immigrants. If you've enjoyed the content I produce, please consider donating $25 to my campaign. One dollar for each year I've survived on this planet, so that other people can access services that help them survive and thrive past the violence they've experienced. I tend to disassociate myself from my body, and that makes it incredibly difficult for me to keep it healthy. I'm forcing myself to be more intentional and accountable about my choices by tracking what I eat, how I exercise, and what I weigh. It's not a tool for me to judge myself on weight, but moreso an effort to get me grounded in my body and push me to make choices with an awareness of how they affect my body in terms of fitness and nutrition, rather than how they comfort me emotionally. I feel like having just two goals feels very austere but at the same time, with my job hunt, I've got bigger fish to fry. Be sure to check out the round up and see what other bloggers are up to this month at Feel Good Dress Better.